I was born in America shortly after my parents arrived from Germany. When your parents are German you don’t grow up like the other kids in your neighborhood. There are loads of things that make you stand out. Like having a lot of extra stamps in your passport (and HAVING a passport), the ability to juggle Brötchen and Wurst on the street from an early age, and always having a sweater along because “Mann weiß nie ob es kalt wird”. Bed time stories for German kids are Grimm’s Fairy Tales without the Disney white wash (the Wolf ATE Little Red Riding Hood! ), Stuwwelpeter Stories (the man with the scissors who cuts off the thumb suckers thumbs!) ,Max und Moritz (ground into flour, and eaten by geese) and all of their cautionary tales about good and bad behavior. And then there was Hoppe Hoppe Reiter… What’s so bad about that? It’s a fun children’s rhyme sung when bouncing a kid on your knees (and for the record, my kids loved it too…) You tell me..
Macht der Reiter plumps! The rider will go Splash! Cake isn’t just for birthdays! Every Sunday the table would be set with a fresh tablecloth and the “good dishes” from the Schrank… then we would have coffee and cake. If more people were invited, there would be two, and maybe even three delicious cakes to choose from. But why choose? You could have a “kleines Stuckchen” of each… Apfel Kuchen (Apple Cake), Kaesesahne Torte, Mocha Torte, FrankfurterKranz, und Pflaumen Kuchen. Coffee and fresh REAL whipped cream complete the picture. “Hast du dich gut eingekremt?” (“Did you do a good job rubbing on your lotion?”) was a constant in our home. Creams against the sun, creams against the cold, creams against the dryness…. And these were THICK German Creams (Nivea, Penaten Creme, Atrix) loaded with lanolin that no amount of rubbing could really make vanish. Especially in the summer, I always had schmears of white on my face and arms. German moms and Omas are crazy about having Gute Haut (good skin). While all of your American friends had to wait for Christmas Morning, you and your family got to open presents on Christmas EVE! Lights, candles, tinsel and magic! Although, as I got older, I found that the working/dating world was less than appreciative of the idea that Christmas Eve was sacred. No, I won’t work in the retail store until 9PM on Christmas Eve… no, I won’t go shopping with you after dinner on Christmas Eve. I’m home, with Family. Presents have long been purchased, wrapped and tucked under the tree. It’s time for singing. Saturday morning meant German School. Not Cartoons, not sport… 3 hours of German instruction. Grammar, spelling, reading, and lots of singing. Granted, I wasn’t alone. I had lots of friends in German School. On the other hand… my regular everyday friends could not understand why I couldn’t sleep over Friday nights…. or take part in normal Saturday morning activities. Looking back, I’m thankful I did it… at the time, it was torture. School on SATURDAY! Soft, squishy Wonder Bread was never a sandwich option. The Germans always find a Butcher and Baker somewhere within 100 miles of the house… and then stock up (the freezer in the Garage was always full of bread). In the school lunchroom I stood out. Other kids had PB &J… I had Mettwurst, Teewurst, Deutschen Salami, Gelbwurst and on really good days… Schinken… on my brown (or black) crusted rye bread wrapped in waxed paper. Mom called American sandwich bread “toast bread”… and treated it accordingly. wikipedia commons- Berliner Liver and Onions… I would cry when this came to the table. Holding your fork in your left hand, and the knife in the right… eating most everything with knife and fork. Hands on the table, not under. Start when dad starts… finish when dad finishes. Scary foods like Schmaltz, Leberwurst, Fleisch Salat, and Pickled Herring… and god help the child who didn’t clean their plate! Everything. … and that crease in my jeans was embarrassing. Germans iron (my Mom even has an industrial strength iron… and she loves to use it). Not just on Tablecloths and shirts. Dish Towels, Sheets, Handkerchiefs and blue Jeans …I remember watching my aunt iron undershirts. I still don’t like to iron… but I have a horrible fear of wrinkled shirts..
My parents had an accent, I went to German School… so I got called a Nazi on the school playground. To me, Nazis were the bad guys in movies, (or the stupid ones in Hogan’s Heros) I had no idea why I was given that label. Turns out, I wasn’t alone. Thanks to Hollywood, most kids in my German school had the same problem. Now the movies have new bad guys…. I can empathize with those kids. It’s lousy to be labeled. There is a running joke in my family that I can take over a small country with the contents of my purse. It may be true… I am ready to cut fruit, open a beer bottle, sew on a button, read a novel, play a game, take notes on an important meeting, have a snack, clean hands and faces, and pay cash for what I need… and carry it home in an extra shopping bag that I have in my purse. To this day I always grab a jacket as I’m walking out the door…. even when I go to the beach (Ok, in Northern California, you often need jackets at the beach. Still… ) All this comes from my mother… who was always at the ready for any eventuality! My parents had beautiful roses growing in the year… and whenever we went visiting, my father would cut a bouquet, and mom would wrap it up in pretty tissue, to give to the hostess. And it was seldom that Germans would visit us without a nice Blumenstrauss (Bouquet of Flowers). There were always fresh flowers in the house. I still love fresh flowers… I just don’t have my father’s green thumb, so I have to buy them. One of the best parts of being German in America… knowing what Good Chocolate tastes like. We would get care packages from German relatives loaded with delicious treats. Or we would fill our suitcases (to overflowing) with loads of Milka, Toblerone, Lindt, Merci, and other treats that were impossible to find in the US. I still prefer a Ritter Sport over Hersheys any day. I’m glad I grew up with the parents I have… and I’m thankful that they were able to share their culture and language with me. And now… I pass on as much as possible to my kids. Time to go to Germany?? Plymouth Junge Kameraden Band- An American High School Band Playing German Music! next Plymouth Junge Kameraden Band- An American High School Band Playing German Music! Oh wow. It’s all so true. Except we didn’t have German Saturday school at the time. Instead we had a German-American Club and I danced in the Volktanzgruppe. Wow it’s amazing,I grew up in Germany and I moved to NY when I was 21 as an Aupair . Now 22 years later reading that, is so surreal. It’s all so true. Now I live in Colorado and I,m married with 2 kids.. the rest of my family is still in Germany ???????? I know it doesn’t help much but as a total American kid, with American parents. My dad was in the Air Force and I came back from Germany the 1st time when I was 8. Went to 3rd grade. I was called a Nazi all the time and bullied. This lasted for years. In 5th grade when were supposed to have dances as a part of PE. No one would dance with me because I was the Nazi. Kids are cruel. I’m sorry. I know how you felt. I arrived at 9 years old as well. It was 1953….. the war was still fresh in everyone’s mind and I was also the resident Nazi. Had to go to 1st grade to learn English (learned exceptionally fast) then skipped a grade for my age. Not good to stand out. It would have been much worse had I not made some friends in the neighborhood. Yes, I can remember running as fast as my little legs could carry me, with coat flying wide open and wondering what was wrong with me. I lived in Manhattan at the time. It was the 1940’s. Bullying at it’s worse. I never forgot. My parents also American but came back to states in 2nd grade – 1968. The teacher introduced me to the class as A Little Nazi. They didn’t know what it meant but knew it wasn’t a good thing. I knew what it was and was appalled. We only went to the school a few weeks. My parents moved to get us into a better environment. I could not speak English when I was child. I went to school in Brooklyn. They didn’t have bi lingual classes. I had to sit in class and go to a church afterward to learn English. One day the principle of my school saw me in the hall and called me a Nazi. I didn’t know what a Nazi was. That was during WWII. I vowed to learn English and speak without an accent. I think I did pretty good for 80+ years. I was born in Germany, and adopted at 6 years by Americans and came to the USA- not allowed to speak English- it was evil! Always called the Little Nazi…. Now as an adult, i am learning the language again and find that many of these traits are within me! Isn’t it astonishing how narrow minded people can be? I too could not speak English when I first went to school in Canada, but now that I am 81 years old, I am often correcting the grammar of those who speak only English. The clean windows, the food, and ironing everything are all things which made a huge impression on me and I still value those things today. The Nazi thing happened to all of us if you had a very German name which I did. I remember my grade 4 teacher threatening to tell my whole class about the little German girl in their class. I am thankful that we were not put in a concentration camp during the war like the Japanese were. The teacher was an idiot. I went through the same thing when I came to the USA in highschool. My sister and I were called German Nazis Whores. Honestly, some people are mean, stupid and thoughtless. How can you say something like that to another human, much less a young girl? I think that’s terrible. When I was in a Catholic high school in the late 1950’s, We had a new student join us in the 9th grade right from Germany. Her name was Annaliese. She was a lovely girl and everyone liked her. She had arrived here just two months earlier and lived with her aunt. She didn’t know a word of English when she got there but in two months time she was fluent. And she was a straight A student! Those who cannot appreciate you for whom you are as a person, are not worth worrying yourself about. They are shallow and immature spoilt brats. We actually had a teacher in grade 7 who would refer to my best friend as “That Damn Nazi”… today he would be fired. My friend wasn’t bullied – everyone thought the teacher was the idiot. (Two years ayer we graduated, he was fired – for verbal abuse – Finally justice prevailed! Honestly, some people are just mean and stupid. I’m glad the others stood up for your friend. I was 7 years old when my parents emigrated and the same thing happened to me. I remember in grade here in the USA, being a full blooded German I also got called a Nazi. To this day (I’m 67) when I think of those days it hurts. . Same here- Tanzgruppe on Thursday night’s at our San Diego German American Club. Alternate seasons from folktanz to Karneval. 42 years later – I’m still doing it! My German immigrant parents are both gone now – but I carry their traditions…. and still get called a Nazi on occasion. Every word of this is spot on. And the summerbreaks being a local tour guide….or “dragged to Europe again”! How funny to see a post from you on here. Love this site. Love the traditions I grew up with. I even remember the German American Societies of San Diego having events at the Swiss Club and El Cortez hotel downtown San Diego before we had our own clubhouse. Seven year if German school too! So many great memories! I was born in Germany and came to Canada as a baby, I can relate to all the above except Schule, we did that a home…..I learned to fight and run every time a new war movie about the Germans and Allies came out (think The Great Escape)…..my name was Hans, blonde hair and blue eyes growing up in a very Anglo Saxon neighborhood…..would not trade it for a minute…. My boys were playing cowboys and Indians in Canada and it must have turned into another war game when suddenly the son of our friends came flying in to ask his Mom, ” are they the good Germans or the bad ones? ” His Mom almost died. When did they stop having school on Saturday in Germany? I was born and raised there in the 60s and 70s. We had school on Saturdays. I don’t know why Saturday School stopped… maybe because kids are doing more other things? Maybe the reason why they stopped Saturday school in Germany was the trade unions’ campaign in the late 50s that said: On Saturdays my daddy belongs to me! This was the beginning of the 40-working hours week here in Germany, working Mo to Fri, 8 hours each. And if the industry did so, why not the teachers? 😉 I attended school in the 70s and was used to Saturday lessons up to 1975, 76. Regards from a German girl (or woman) that had loads of fun reading the article and was sometimes concerned reading the comments re Nazis. School on Saturday stopped in the 90s. Therefore you got some lessons in the afternoon. The reason was that familys should spend more time together at the weekend. But today the whole school system is complete different. I grew up in East Germany and remember having school on Saturdays till noon in the ’70s. I can’t remember if it was every Saturday or just every other Saturday but with the change from the 48-hours work week to 40 hours, Saturday school went away slowly. However, I remember that even in the University (late ’80s/beginning ’90s) we had Saturday lessons every other week but since most students went home Fridays already, they changed the schedule to Mon – Fri (but then, people left Thursdays already…). Anyway, I enjoyed your article, lots of memories. I came to US in the ’90s. I brought lots of those traits (I used to iron my clothes too and impressed my now wife when I even ironed her undis). But, I dropped this and some other traits as time passed by…. but others are still alive (and yes, I did find a German butcher and baker here and have been going there since ’96). But we still stuff our suitcases every time we come back (the lower weight limits make it a bit more challenging though), and Kaffee und Kuchen – well, we have become a little bit Americanised by sometimes having lunch at 2 or 3 pm, unless we decide to skip lunch for Kaffee und Kuchen! The only regret I have: I didn’t teach or continue to teach my child German for various reasons (and excuses) and now, he’s getting ready for College, the opportunity to study in Germany for practically free of charge (other than (much lower) cost of living) is lost due to lack of the German language. My daughter just FINALLY started studying German in College…. you may wish to contact Jay at Eight Hours and Change… he hooks American students up with German Universities, even if they don’t have the language. I married a GI like most of my girlfriends. It was very difficult to be German at that time, in fact I dont think it was ever easy beeing German in America. If anybody admired me for beeing German, it was always for the wrong reason. But I still loved America, it gave me lots of freedom and opportunities. Im glad I married an American, we were married for 57 years, he died in 2015. I tried to intigrate and assimilate, but of course my accent gave me away. Since Im not the Hollywood version of looking German, people always thought I was Irish. I was always homesick, but I could not live there anymore. Ich wohnte in Mannheim (arbeitete dort). Ich mochte die Stadt sehr. I served in the US army, stationed in Kafiertal outside of Mannheim for 16 months in 1971-1973. Great time. Came to Chicago in 1955 at age 5.
shortening of school hours came along with shortening of working hours. When parents did not have to go to work on Saturdays anymore then the children should not have to go to school as well. Extra hours were first added to the weekdays at school. Sounds like I grew up in Germany? right, I did!!! And emigrated after school to South Africa! And, of course, I did the same to my children born here and introduced them to our German customs. We were lucky to have a German School in Cape Town! Our children went to 1st – 3rd grade in Baden Wuertemberg and they had school every saturday until noon, this was in 2000. Yes, I attended Saturday school in Bamberg … back in early 60’s. I went to school in Schweinfurt, went on Saturday until noon! Married a GI to the horror of my Family, but I knew better! Still married to the same GI – happy? Maybe, some times, wish I was back home? Sometimes! Still practice all the German customs I can get away with! Modified some others or practice American customs after 58 years in USA! Just wanted to let you know I am also from schweinfurt grew up in Rafelt ? I think the Saturday school referred to in the article is the school kids went to here (US and Canada) to learn to read write and speak German. As opppsed to school on Saturday in Germany. I was born in Canada in 1965 so I think I am a similar age to the writer based on the Christmas photo on the article. Every one of the points is true for me except the “gute Raum”. Oh and I forwarded Hoppa Hoppa Reiter part to my kids now 18 and 22 because they grew up on that. Plus Schlaf Kindlein Schlaf. I can’t even say it without taunting (and actually yawned as I typed it). I just wish my parents had gone to California (or Australia) instead of Toronto. I can do without snow and cold. Yes, this is true and the Saturday German school was to help our children learn their parents language, while living in this great country. It enabled them also to speak to their grandparents. I was born and raised in Germany,never did we have school on Saturdays,all the Stores closed at noon on Saturdays ,.and Sundays everything remained closed.Of course It was a small town,Speicher in der Eifel,close to Bitburg and Trier,a wonderful Childhood. Weiss zwar nicht wann Du geboren bist, aber ich bin von Badem und ging in Kyllburg zur Schule. Wir mussten Samstags bis um 12:00 Uhr in die Schule. Mein Bruder ging in Bitburg zur Schule und hatte auch Samstags Unterricht. Aber das war in den 80iger Jahren. I don’t know when you were born but I am from Badem and went to school in Kyllburg. We had to go to School until 12 PM on Saturdays. My brother went to School in Bitburg and he too had classes on Saturdays. But that was in the 80s. There was when I went to school. I attended German school until 1963 in Berlin. I was born in 61 and came to the states in 81. They did away with Saturday school while I was a student. Not any more but I was born and raised in Germany and when I came to Canada in 91 they where jus changing the Saturday school thing. I used to go every Saturday from morning to lunch time. For me it was a special school, separate from regular school. I was born in 1969 in Mannheim and went to School there and I had school from 7.30 to 12.30 on every 2nd Saturday till I was done with School. We went to the Plattduetsche Club.Did the dancing,eating and drinking. I was The Queen of the German Club. 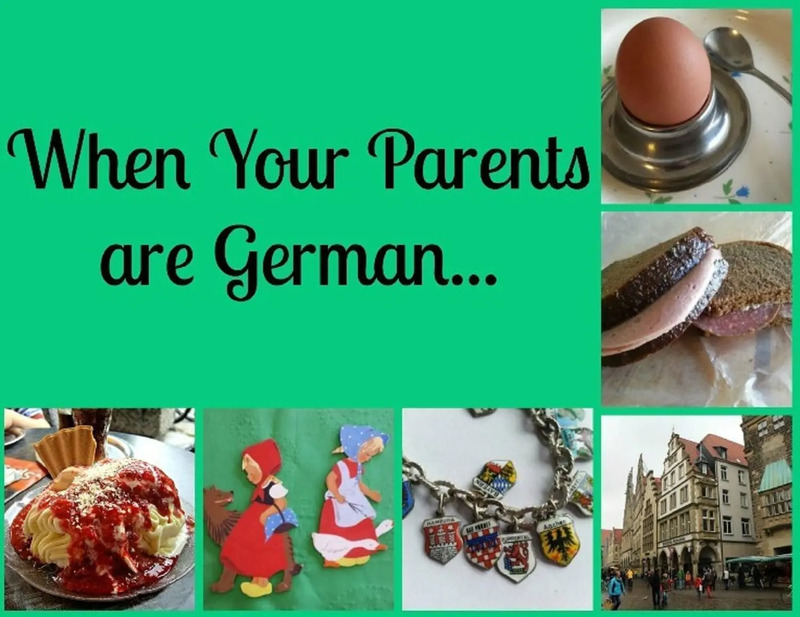 My kids even tried german school and had some other german things that I grew up with.Also, don’t forget the Niederecker Marzipan.We only spoke german at home.What a joyful stroll down memory lane. Canada, my husband loves the stuff. I am lucky that we have a German bakery/deli here in Nanaimo so I can buy REAL German ‘Schwarzbrot” and Rolls as well as German dark chocolate etc. I can also understand Platt, don’t speak it too well, but give me a few days hearing nothing else and I will speak it fluently. I don’t hear it much anymore, as I live distant to most of my relatives. I was born in Canada, hearing it spoken at home daily growing up and amongst the other relatives living nearby. Couldn’t understand why other Germany people outside our family didn’t speak or understand Platt. Even though I grew up in Canada, my relatives in Germany when I visit, still freak out and don’t really believe that I can understand it. It’s music to my ears when I hear it. Very heart-warming memories of our German home. Now that my Oma is gone, I don’t get to hear Platt anymore… I miss it. You hit every single trait right on the head. But you forgot TARTAR. Lean raw beef and egg, salted, peppered and with lots of Paprika on Austrian Rye Bread served with Old Fashioned Kosher Dill Pickles. Ohhh…. my dad kept his beer for himself! Where were all of you when I was growing up? that is so well discribed and shows me again and again fo be proud of my German heritage! I grew up in Wisconsin, with a German dad and American mom. I was never bullied for having German relatives, maybe because there are so many Germans in Wisconsin? I later studied in Germany,, met my Dad’s friends and learned to love Germany, its people, language and culture. It was the best of both worlds! Some of the things mentioned are familiar, but not all. No German school, sadly! But yes to Christmas Eve celebrations, good chocolate (also marzipan! ), German stories and rhymes! I think we were probably more American than German, as my Dad came to the U.S. At age 19 and lived her for the rest of his life. Thanks for this great site — I loved it! I am german that is all true!!!!!!???????????????????????????? I can relate to everything, except German Schule. All my friends went on Saturday mornings, but because of that Nazi “thing”, my Dad felt it better if we did not appear unpatriotic. I believe I was born earlier than you – the war had not ended. Love this,article you wrote!! Danke! I never understood why my parents would not teach us to speak German. My mother had started to when we were very little.., preschool age, but abruptly stopped before we gained school age. I started teaching my kids German…. but my son rebelled because I didn’t use words that his daddy did. Ironically, my daughter is now studying German at University..
My best friends in Canada were German and as a UK “mutt” 2nd gen. I felt privileged to participate in many of the above with them (except German school….). German club with food and dancing was great. Germans do know how to have fun! This brought tears to my eyes. I grew up in Germany until I came to the USA at 6 years old and those years were the best of my life. I remember everything except school but I did not go to school there. I remember going down the alley ways on Saturday to watch the puppet theater! All my relatives have passed except my cousins and we don’t keep up with them. All I have left are the great memories and trying to help raise my grandkids with the respect that I was taught. Thanks for the memories! Barbara why not try to reach out to cousins in Germany, find them on Facebook. I am in contact with many in Germany and in Holland through facebook. We talk on Facebook and see each other, now all looking like Omas and Opas. A friend forwarded this to me – it’s nice to know I wasn’t alone!! Yes to all except I didn’t go to German school and we didn’t have a special living room. I still use Nivea at night but not the made in USA stuff. My neighbors think I am crazy when I wash my windows and I iron everything! My mother sends me German bread from her baker and breakfast is just as you described. Growing up, my friends asked me what cereal I ate for breakfast, I said I didn’t; I ate sardines and steak tar tar (rohes gehaktes). My father read me all the horrifying children’s stories which gave me a lot to think about at night. I can’t eat Hershey’s chocolate. I’ve tried to pass on some of ‘our ways’ to my boys and they do comment when people (especially grownups!) don’t hold their knife and fork properly. But seeing how my cousins live in Germany, I realize I was raised in the ‘old world’ ways. They prefer easy care laundry and muffins and yoghurt for breakfast. It’s a curios clash of cultures and generations and I’m so happy to be caught in the middle!! So true – the ‘time capsule’ comment. I went to Germany to live for a time, as an adult, and was amazed at the difference! The German society’ I grew up in. In Canada, was so patriarchal that I swore I would never marry a German! (eg – Men do not do ‘women’s work’; the ‘Ich bin der Herr’ attitude.) I love and am proud of my German heritage, notwithstanding! Funny, I grew up with a German father and Canadian mother (in Kanada) with a strong German influence. Recently when a cousin visited me from Germany, and we discussed our childhoods, and traditions etc, it seemed I was more stereotypically German than she. Foods, that I ate, she had never heard of, she denied that anyone wore Lederhosen ‘back then’ (thankfully I had the photo of our fathers to prove it LOL) and many other little tidbits including many German words! But I guess my father came here to Canada and stopped evolving as a German, so in a sense my upbringing was a snapshot of historic Germany not contemporary Germany. I thought I’d share a couple other traits that might make some smile. I had to go to speech therapy as a kid because I adopted my father’s accent. I often debated with peers and even teachers what the correct names were for certain common items because I only knew them by their German terminology. My father, who grew up during the war often watched documentaries on the war. I was exposed to a LOT of footage as a child. Like many other young boys I drew pictures of planes, and tanks, and ships at school. UNLIKE many other young boys mine often had Swastikas on them. That called for a parent teacher meeting LOL. Was I the only German kid getting hot toddies for colds, or Jagermeister? That reminds me, no one has mentioned all the health supplements, vitamins, and medicinals. Yes, we had/have lots of teas for different things…. I think you are spot on about being “more German” than Germans in Germany. That bubble we lived in never changed… and Germany kept evolving. Agree fully–I had 3 of those Wappen bracelets on the photo, and we also had that bag that was prepared for anything, plus the creams–Penaten Crème is used by me and all my children. We celebrate Christmas on Christmas Eve and afternoon Kaffee und Kuchen was part of my weekend life. The best way to live! I got in to a few arguments with morons in my time too…. We didnt’ have a table for punishment, mom had a wooden spoon. Oooohhhh, the wooden spoon (Holzkochlöffel). My mom just had to show that thing and we would confess in no time. No one wanted to mess with that thing! But Leber, mit Röstzwiebeln, Stampfkartoffeln und geschmolzener Butter – quick lunch, yum. I haven’t had for years (decades) and probably will never have again – it was only good when Mutti made it. Memories…. Der Kochloeffel tat seine Dienste bei uns, auf dem Hintern. Wir haben keinen langen Schaden davon getragen. Liver is just a dirty trick… My father loved it (and brains… but mom would never make that for him). And having to eat every bite… sob. I would have been in so much trouble. I cannot stand liver no matter how it is made. But as an US born guy, I fell in lone with Deutchland from the first day I arrived there in 1971. My family and I left there the last time in 2012. There were some years I between where we were in some other country, like Korea but part of my ancestry is German and it great. Liver was a trial… how lucky you could live in Germany for so long! I could relate to so much of this although in my grade school I was the only German. I was laughed at for my dark rye bröt mit teewurst. My mom made Apfel und Pflaumenkuchen and was also prepared for anything. I still hear about Es Zieht zuveil as a way of getting sick. Thanks for bringing back my wonderful childhood memories even though I didn’t realize it at the time. Omg! This was my life! I am amazed at how big our “club” is! All very true, even German school on Saturdays. My brother and cousins loved it when German school was cancelled because of snow. I grew up in Southern California… there was never any chance of a snow day. I notice that a lot of Europe is very similar… wonder why it’s so different in the US? I was brought up Ukrainian and we had good table manners, we always conversed in Ukrainian too! .my Dad loved his jellies pigs feet too, we had sweets and tea on Sunday then dinner at my Babas house! Love it! I think there is something to a European style upbringing. i came here in 1959 after growing up in Germany . A lot of these things hit home. I am German and live here with my American husband since 2001. I agree that there is a lot of similarity in upbringing among all European countries. Maybe this is the reason why no matter where I go in the USA I always get into great conversation with Europeans. It seems we all kind of “find” each other !? It’s true… my mother told me she went to a block party over the weekend… and connected with the other German couple. Has anybody noticed that Target is now selling quark? That was always the holy grail/unicorn of German food in America. Of course, they treat it like yogurt, and it’s only with fruit, but that’s still a breakthrough. BTW: You were lucky to have access to decent bread growing up. All American bread is toastbrot. Your Target has Quark!?! I have to look here. So far I only find it in the German Store. And believe me… mom searched long and hard for “good bread”… and filled the freezer when she found it. …dry curd cottage cheese with cream added and put in the blender can be changed to function as quark. I eat it on a bun Broetchen with jam on top. I hate Quark, hated it since I was little and still lived in Germany. I also don’t eat Yogurt either. The closest I can come to German bread is French bread from Safeway. At least it has a nice crunchy crust on the outside. I’ve tried the multi-grain bread and it just didn’t taste right. I am not a very good baker, I’ve tried making my own bread and have failed every time. But I do cook German food ever once in a while. Everyone loves my potato salad, it just isn’t the same as American potato salad. My daughter has issues with Quark and Yogurt… something about the texture, so I understand. Would you like to share your Potato Salad Recipe? I’m looking for a good one. My childhood memories with quark: Frühstück on the balcony on a sunny Saturday morning with Rosinenbrot, Quark und Sirup (Zuckerrübensirup). When I briefly lived in Texas, a specialty grocery store had some quark but no one bought it – so I got it for half price. I convinced the manager to get the Apple Farms quark on the shelf. She did but still no one bought it after a few weeks – she gave me 6 buckets free of charge (it was close to expiration). That was the end of quark there. Now, I get my quark from the German Butcher (only place I know of). It’s the Apple Farms (WA state) product (http://www.appel-farms.com/quark). When I found the butcher in ’96 I paid $1.85 for 16 oz, now it is about $6.85. But, what can you do, it’s so good. Even my son likes it a lot and we still eat it the same way: (frisch gebakene) Brötchen mit Quark und Sirup (Grafschafter). it’s just too good. My wife wanted to make some for the last few years but never got around to it. She even bought the cheese cloth. So, we bought the Elli Quark from Sprouts (4 for $5) and I tried the plain one. First impression: taste and texture is a little bit different. The texture is smoother, more like Greek Yogurt as compared to the Quark from Apple Farms which is closest to German Quark. Taste is a little bit different than Apple Farms quark, hard to describe but when eating it with Zuckerrübensirup on Toast it is not noticeable. But, at less than half the price as Apple Farms for 16 oz and coming in easier to consume 6 oz containers, it is a very good contender and easier to get to (we have Sprouts, Target and Safeway nearby) than the Apple Farms I can only get at the German Butcher who is a 25 miles drive away. Fage greek joghurt is very close to Quark. Try it. In Dallas / Texas we also had German School on Saturdays. Herr Weiss had organized it. I was a teacher there and our three children attended it. We also had a German Club. The “Weihnachtsfeiern” were memorable with a big Christmas Bazar….During the summers we participated in the German Day Parade: our little girls decked out in new “Dirndls” and Martin in his “Lederhosen”. These of course had been sent by Oma and Opa from Bavaria. Martin wore them day in and day out, even to school. He wore out two pairs there and was on his third, when we left in 1974 for the more moderate climate of Pennsylvania. Memories! Nice… I really enjoyed the German School celebrations. Especially at Christmastime. ahhh… true! And I’ve passed my crazy desire for punctuality on to my girls! If you aren’t very early you are late. oh gosh… I made the mistake of being 10 minutes late for a meal with my Aunt once… they ate without me! Yes,,thats the way we raised our Children the German way !…We got two born German,,one Canadien,,and one American Child. All grown up now ,and our Grandchildren (of course are raised the German way too. We are proud to live in the US but—the (German WAY ! This is all so true! In elementary school I used to trade my “schwarz brot” sandwiches for wonder bread sandwiches. People traded? I couldn’t get anyone to trade until I got to high school… there was a girl who had more “granola” parents, and she wanted my wurst. Wonderful, and all very true. I am German too and brought up my Swedish children exactly this way! Except I don’t iron Unterhemden, not much else either. Mrs. Thatcher, the iron Lady, was called by John Cleese (?) the ironing lady, so maybe the British iron too! That’s exactly as I remember it. I’m 87 now and thank God every day for placing me with My parents. I’m so happy to have found your blog! (Mine is given below.) Yes to all of this! My mom even taught the Saturday German school. My German childhood was mortifying at the time (oh, how I wanted “normal” parents, like everyone else! ), but now I so miss and honor it and all the German family and relatives that kept me connected to my heritage. I love your weird little country!!! Both of my parents were from Austria Hungary and the lunch meats were not for breakfast. I loved liver and onions. We celebrated on Christmas Eve. We belonged to German American Club but we didn’t have to go to German Classes on Saturday if we didn’t want to. Never got called Nazi, my father actually patrolled the neighborhood as a warden during blackout drills during the war. My mother actually bought one of first Mangle Irons. We had to iron everything. Got to sit down to iron sheets. My Mom went to early Mass on Sunday, came home and made noodles for chicken soup. Also made Paprikash for supper and made what we called” Grupflas (?) fried in deep fat and were like raised donuts. Delicious. Loved reading this. Memories! Ohhhh… home made noodles for soup! YUM! A mangle Iron would be a great thing to have now. Table cloths are impossible! Oh you mean Grapfen or in germany its Berliners and here itis a dd fiiled with yelly. yes… there are so many different names depending on regions..
Much of this was true in our household. My friends couldn’t believe the foods served that seemed commonplace for me. To their lists I would add= headcheese, sardines, liver dumplings, spaetzle ( my keyboard doesn’t have an umlaut) , stollen, horseradish, saurkraut, bratwurst, dark mustard, saurbraten, real cream, real butter, pumpernickel rye bread & and I was raised given my own sips of beer with meal. * and no I did not grow up to be an alcoholic. !. . my father saved everything, wasting was sinful in our home. Children could speak when they were spoken to. There was no raising my voice and certainly no arguing with or disputing my father. My parents raised their own sexuality vegatables, used a German butcher shop for buying all meats and cheeses. Mom ground her own meat and meat salats and bought the casing from butcher to make fresh sausages/wursts. Mom sewed my clothes and many of her clothes. My Tanta (Aunt) Hilda used either noxema or butcher lard on her skin. She lived in a German community in California and ran a pub. I did not know the other relatives on my father’s family becausebit was just he and my Aunt that escaped and came to America when the Third Reicht would have taken my father at age 17. He lived a fascinating but very hard young life. I only knew parts of it because it was very difficult for him to talk about. I believe you. My parents were babies during the war… but I’ve heard a lot of family stories. Mom still won’t throw food away! She cuts off the “bad bit” and eats the rest. We weren’t allowed to speak at the dinner table either until spoken to. My dad escaped East Germany at age 12 with his bike on the Strassenbahn. I’m glad that rule changed! My dad also escaped east Germany during the Soviet invasion…I believe on a cold day in January with a sled and his mother. My dad, his brother and their mother got out just ahead of the Soviet army… his mom didn’t make it. My mom and her family were kicked out of their homes by the Russians, and had to flee west. I understand. I’m so sorry to hear that. Russian solders were moved into my dads family home and they were forced to care for and feed them. But my dad says at least they could play soccer and it wasn’t the actual soldiers who were so bad. They were forced to do what they were told. 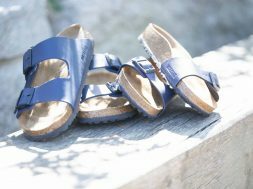 Mom told me that her father was forced to make shoes for the officers… many of the regular soldiers went barefoot or had wooden shoes. Yes my dad was expected to leave all by himself because they had to leave 1 by 1 or it would be too suspicious. He pretended he was visiting his aunt. They watched him closely as he got off with his bike. He forgot where to go but rode away as fast as he could. Finally he remembered where she lived. His family had to leave everything behind. At age 17 he was forced to come to America with only the borrowed clothes on his back to get a job. That is how my mother and I escaped. In January 1949 (?) we went “Schwarz ueber die Grenze” from Gera, Thueringen to Oberfranken in hip-deep snow. Total strangers, who lived in the border town, took us in, fed us, gav eus some West German money and led us across the border. We were very fortunate to have very giving, caring people help us back then ! My daughter fondly remembers going to Saturday German School (in Milwaukee, WI) together with her American father. Separate classes, lunch together thank you Goethe Institute ! Both of my parents were Fluchtlinge too… thank goodness people helped you along the way. I can’t imagine doing that with a child. My grandparents and my mother had to flee from the Warthegau, in the middle of winter. The just made it over the river Oder before the army blow op the bridges. My dad, serving in the army was not so lucky. He was stuck on the wrong side, captured and sent to prison camp for 4 years, doing hard labor. I fled East Germany in the spring of 1989, half a year before the wall came down. Wife and kids had to stay behind and we knew, it would take 3-5 years to be reunited. But in the fall the wall came down and they could join me in Canada. Both of my parents were lucky to get out of the East as the war ended… as part of the big refugee relocation. I’m glad your family was able to get to you. You must have been so worried! So true! But for me German school was twice a week after regular school. I remember the leberwurst and teewurst sandwiches at lunch And I was always a little jealous of my friends who had relatives nearby. I still shop at the german butcher and try to attend the German-American day parade every year. Thanks for the memories! Tschuss! now I am home-sick fuer mein Heimatland Kirchberg/Jagst. Heimatland du schoenes land wie miss ich dich so sehr! Danke fuer posting this! German all the way! I laughed and laughed. Of course it happened this way. So musste es ja sein. Sent to me by another kid who grew up German in Canada. I’ve forwarded to a few German heritage kids I grew up with. I work in Indonesia now and growing up with customs different than ‘the English’, I’m more aware of culture and customs around me. When you’re in High School, and the English class is reading “All Quiet on the Western Front,” and your last name happens to be the same as one of the minor characters, suddenly WW I is YOUR fault. Nevermind it happened forty-plus years before your birth, but it’s your fault. I hear you… a college history class about World War 2 almost did me in. I got called some awful things… no one knew anything about me except that I have a German background. So I was responsible for Hitler. Luckily, the teacher intervened. Ohhh! I didn’t have accordion lessons… but my Bavarian friend did! That’s. what was missing! Accordian school! And being in a band, luckily my Accordian did not have a microphone…. Want that good. And performing with the dance group. Loved that. Oh this brings back so many warm memories of childhood! My parents and brothers immigrated to Canada in 1957 and I was born in Canada the next year. Mom was from Zepernick (north of Berlin in what became East Germany) and then lived in Berlin throughout the war and her building was one of the very few that wasn’t destroyed. Dad was from Muenster. I grew up with stories about “im Kriegeszeit”. And also many of the memories you’ve shared here in your blog. Apfelstreusselkuchen was a staple in our house! It was perfectly acceptable as a breakfast food and after school snack. Leberwurst,, Braunschweiger Teewurst, pickled herring, glorious rye bread, Rouladen and Kloesse, and Sunday dinner served on dishes from the Schrank. And yes, white bread was simply referred to as “Tostbrot” and used only for that purpose. Mom and I travelled to Germany in 1991 after the wall came down. She showed me all the places where she lived and went to school and church, and where she survived the war in Berlin, and then Hildburghausen & Dingsleben where she rejoined her family and recovered after the war. She was a courageous woman and survived horrendous times, starvation, brutality, and making her way through gory scenes just to fetch water for herself and her neighbours. Seeing her homeland through her eyes was a life-changing experience for me. I am so grateful for my German roots and cherish the memories. Thank you for this blog and reminding me what it meant to be a German girl in Canada. My dad came from just east of Berlin, and mom was from Silesia. They were finally able to go back and see where they came from after the Wall came down. It was a heartbreaking time. Yes all this is so true. Nice memories coming back. I was born in 1945. And the Hautcreme ritual was drilled into me from an early age! Especially Nivea “gut eingeschmiert” My husband marvels at my smooth skin that still gets richtig eingeschmiert every morning and night. Danke Mama! Everything is so true,it made me a little homesick.Thank you for a trip down memorylane.You can take the girl out of germany,but you can’t take the german out of the girl. As for me, this was not a heritage that I was able to participate in because my family was forced to flee Germany in the 1930’s. What some posters so cavalierly refer to as the “Nazi thing.” And although I would never call any person who was born in the United States or after World War II, a Nazi, I also try not to think about what your parents and grandparents who were in Germany during the Holocaust may have been doing during the war. I also do appreciate the steps that Germany has officially taken towards atoning for the Holocaust. Really. But I respectfully beg to differ on the poster’s kinship with Muslims who are labeled terrorists. In contrast to modern day terrorists such as ISIS, Hitler was democratically elected. Although there was a German resistance (which, again, I am profoundly grateful for), he had the support of an entire nation state while terrorists are extremists, and not representative of Islam. True… you are right. I did not mean to be so flippant. I meant that I understand how it feels to be labeled as a bad person, merely because of your race, religion or background. What you may not know about me is that both of my parents were refugees during the war… so I have a kernel of understanding about what your family went through. (It was different, yes, they were Christians,but they still lost their homes and family members) None of my parents or grandparents were soldiers. I had a thoroughly German up-bringing, but because we were so few families in our community, no German school and to fit in, I was spoke English outside of the home and was “seen not heard” at home. I studied German in college and had a wonderful professor. We studied contemporary German literature – which meant WWII lit. and she pointed out how little power we American students with our opinions, and a little protest now and then, had over the waging of the Vietnam War which was raging at the time. Learned then not to paint people with one large brush! Loved your blog, it was sent me by my Tante. My mom made liver with a Schnitzl disguise,ugh. Wasn’t years later when I first ate liver and onions that I discovered that I loved it! As I remember, the moms ironed everything because there were no “permanent press” fabrics (or they were too expensive for working families to purchase). I recall my mother being delighted when polyester got added to the cotton for bedsheets and she didn’t have to iron them anymore if she was prompt with removing them from either the clothesline or the dryer. I remember too her lady friends standing around her ironing board debating the pros and cons of whether the sheets should be ironed anyway! It just seemed sinful and decadent NOT to iron them! I am from the States,but lived in Germany for language study for 6 months and Austria about 14 years. All three kiddos born there and attended Austrian schools. Grew to love many of the Austrian customs and foods. One custom still stays with me since returning to the States in 1983 and that is not eating ice cream in the winter…or much of any drink with ice in winter. Sure do miss the cuisine though! I so enjoyed reading the posts and comments. Could relate to many even though not originally German. Yes, I remember hearing “pass auf!” very many times. I was an exchange student in Austria in the late 80s. I had to explain frequently that President Reagan never asked for my opinion before he did anything–and since I’m from a small farm in Washington, I was constantly explaining that I was a long, long distance from the White House! And I was stunned by the ironing! LOL But my mom has some German in her family, and I still carry supplies in my bag for every possible necessity! My husband has learned to ask, no matter how bizarre the item he needs, because I just might have it in my bag! Both of my sisters are the same. Can’t “travel light” no matter how we try! Traveling light is for amateurs… you never know when you will NEED a sewing kit, flashlight, pocket knife, snacks, a game or extra socks. Remember Saint Nicholas day? When we would put our shoes in front of your bedroom door in early December. Yes! Was wonderful getting chocolates! I’m second generation, not first, American-born and I never knew why we always opened presents on xmas eve! I was raised by a first generation German mother and a weak father. You forgot a few of the negatives. Like cleaning the house while she entertained friends, Ironing my own clothes, chopping wood for the furnace that heated the house at 13,never being allowed to participate in sports because I started working and paid rent of $25. per week when I was 14. Not attending any school dances or activities because there was cleaning around the house to be done, Made to kneel on dry rice with hands over the head for an hour, and if started to drop arms due to fatigue another 30 minutes was added. I could go on and on but it gets boring. Germans are strict to the ridiculous. I left home and married when I was 20 to distance myself from that life. Fortunately, I loved and married a wonderful women that was devoted to me and pushed me to be very successful. David, you are right, I left out the negative. My parents were strict (that wooden spoon…). I just wasn’t ready to go there yet. Sadly, i saw strictness to the point of abuse several times with the few German friends i had growing up. Now those parents would be brought up on charges and sent to prison! I was on the other side…my family is 4th generation Canadian, but many of the other kids in my public school were “DPs”. This included Germans, Poles, Czechoslovakians, other Slovak families. My depression-raised parents sent us to school, on days when there was nothing else to eat for lunches, with brown sugar on white bread sandwiches, and I happily traded with the immigrant kids for blood sausage on wonderful, chewy dark brown bread. Still love any kind of sausage and whole grain bread. Oh, and don’t forget the homemade mustards! I’m a first generation Canadian girl born of German parents. I can relate to most of what’s been said for sure… The evils of ice water and wooden spoons…. I’m passing on the good stuff to my daughter . I’ve learned to make yummy rouladen thanks to my mom but the cakes my mother and Oma were the best at making . My grade 2 teacher always asked for some tee wurst from my lunch time sandwich ! My daughter now loves the wonderful German foods and holzofen brot from denningers. I’m proud to be German. I was bullied and called a nazi while in school however. I remember at age 8 coming home and telling my parents what the kids called me at school and I asked them: what is a nazi? Heavy sighs and careful explanations were on offer. I have great respect for my parents wartime experiences (they were children at the time). They were horrid times for all . I went to Germany with my parents in 2012 and went to my mothers birth village and met my cousins and aunts and uncles . Best trip of my life. I had a better understanding of my family and after immersing myself in German culture, I realized my mannerisms and way of being made more sense to me! Sounds like we had a very similar upbringing. How wonderful you got to go visit your family! Denninger’s?! You must be from Hamilton? The threat of the wooden spoon! Eek! I’m still worried about it today! That’s exactly identical to how it was, and I went to Kinderchore, played a Hohner harmonica, and took accordion lessons. But that was until the Beatles convinced me to change to guitar. Some of the best times of my life I’d say. And also, mom made plenty of liver sausage sandwiches for my dad and me for lunch which lasted until my buds introduced me to McDonalds. Grew-up in Chicago und alles warr gutt. Resi’s Bierstube is my parent’s bar and restaurant here in town still, Google it. Thanks! I’ve already added Resi’s Bierstube to the Restaurant page! We have German Village here in Columbus, Ohio. They have good food nice stores. I wish i had heritage like that! I am a 4th generation Canadian so about the only culture trait i was taught is how to make a proper cup of tea, lol. My best friend growing up was German. I loved eating at her house and having homemade pizza and sausages and bread! Still to this day, my favourite bread is a double crust Klosterbrot! Don’t knock the ability to make a proper cup of tea… very few people here in the US know how. You are very welcome. My kids love love love Hoppe Hoppe Reiter too! Please share your stories with the grandchildren! Write them down… they may not seem to be listening, but they are, and they will love having that special knowledge. My father immigrated in 1927, because he was the second son. His older sister married a wealthy farmer, while his older brother inherited all the parents’ wealth and property. That was the accepted tradition. When he arrived at Ellis Island, he only had money to buy one bag of apples and a train ticket to Indianapolis, where an aunt offered him a bed while he settled. He portioned the apples out to last him for the long train trip. From that beginning, he became a very successful butcher shop owner, bought his own highly successful shop, raised 5 children during WWII, sending them all through college. Later he helped all five buy their first houses. That success has grown to at least 50 descendants, all of whom are making amazing contributions to America. Although when we were little we didn’t understand why he was so tight with money, his attainment has shown so many how to take care of what we have and achieve our highest goals. I am forever grateful. My father was the second son too. He and mom worked hard… very hard… (mom still pinches pennies) but retired well. We all were taught to work too. I couldn’t speak much English until I started school in Brooklyn in 1938. I had a German accent which led to many fights during the war. I had the principle of the school call me a little Nazi. I didn’t know what a Nazi was. I had to go home and ask my mother. I promised myself that I would speak English w/o an accent. I think I did a pretty good job. I returned to Germany after the wall came down. My cousin told me I spoke German with an accent. So I did pretty good in remembering my first language. I tried to keep German tradition in my home, my wife was Italian. My children weren’t interested until they became parents and now they say to me that I should have insisted. I hear you… my kids rejected learning German when they were small… now they regret it. We immigrated to the U.S. with our parents when I was 12. In school there were kids from other countries as well; the teachers and students were so respectful and kind to us. Our dad was strict and a man of few words. Our punishment was his belt; we seldom disobeyed, had to finish what was on the plate and keep quiet at the table. But I forgave my dad, for he was raised that way. And yes, our family found a German butcher and bakery; we enjoyed Kaffee und Kuchen with friends. I moved to Canada when I married my German husband. Our children attended “Kraut school”, as they called Saturday German School; I taught there for many years. When we went back to Germany for a visit with friends and relatives and were able to travel, I experienced Europe for the first time and loved it. Thank you for all the memories that I can relate to! Those German dads were strict… but you are right, it’s how they were raised. I honestly think that the Germans who came to the US in the 60s and 70s are more “German” than those who stayed in Germany. It’s like a time capsule… rules, language and behaviors didn’t change, but there, things evolved and got more relaxed. And if your parents happened to be ‘Auslaender’, that time capsule could be up to 200 years old! I laughed out loud and so did my daughter, she said many times “that is so Oma!” Nivea cream still rules!, coffee klatsch still happens not so much the liver or steak tartar anymore, my moms windows are always beautifully and creatively decorated! One thing you missed was how as children of German parents we never knew who the Beatles were but we sure knew Mozart and Beethoven!! Loved the article and it’s a keeper for me, thanks. Thank goodness LIVER went away… I have to laugh though, when I was 12 I finally convinced my dad to play ABBA cassettes in the car. However, I heard a lot more classical and opera than rock while growing up. Vielen Dank! Ich weiss genau das hier im USA aufwachsen mit Deutsche Eltern ist VIEL anders als in Deutschland aufwachsen. Ich glaube es ist wie eine Time Capsule… also… die benehmen wie es war im 1960er… In Deutschland ist alles ein less formal geworden. I can certainly relate as a first generation Canadian born of German descent. Although since growing up on a farm some things fell by the wayside on how particular we were on certain things being done. My mom quickly enrolled any items that would help with time saving…she was the gadget queen! And although there was a pile of laundry “to be ironed” it went by the wayside as well. I do remember having relatives visit from Germany and they were horrified that the car wasn’t clean and washed all the time. My dad very magnanimously allowed them the opportunity to wash it to their heart’s content, which was daily since we lived on a dirt road and dirt laneway. Needless to say after about the third day of washing the car they gave up! Oh the horror of rye bread sandwiches for lunch and I also had no one who was interested in exchanging. And liver…I remember sitting for 2 hours after dinner because I didn’t want to eat it…now I actually go and order it at a restaurant…who knew?! But I do remember driving an hour to the German bakery and loading up the back of the beetle with around 30 loaves of fresh bread…hard to keep our hands off it because it smelled sooo good! Soup was a daily occurrence in our family. We lived with my grandparents and my grandfather always had a bowl of “Klare Bruehe” mid morning after it had been simmering for several hours. I could still live off soup. Griessknockerlsuppe is still by far and wide the family favourite although Fledelesuppe runs a close second. The only way my husband eats liver is in Leberspaetzlesuppe. As much as I complained about having to go school yet another day, missing cartoons and sleeping in, I do have much more appreciation at this point for my parents’ efforts on our behalf. I have maintained contact with family and friends in Germany and cannot imagine what my life would have been like without our second home there. I am still a member of a local german club and choir. Unfortunately, like many here, the population of the club is aging without having the replacement numbers needed to continue on the tradition so eventually it will no longer be in existence. It will be sad as it was also a large part of my growing years as well. Thanks for the reminders and laughs, in all the reminiscences. I notice here too… the German population is getting older, and the younger people don’t participate as much (except for Oktoberfests). Wow, thus was my childhood. My friends thought I ate the weirdest stuff… Omi lived with us, I was anemic so Omi would whip a raw egg with sugar and give it to me, also a tablespoon of raw liver scrapped . And I loved spinach. German school every Sat, accordion lessons, German dance group. But when I worked in Munich for two years, I was so glad I was able to speak German and had lots of family to visit. I love being a German American. Those Omas… they mean well, and they stuff us! BUt we love them for it! I was born in 1959 to parents who came over from Germany in 1951. At home we spoke German . So when we moved to Long Island from Queens I spoke only German. I had to go to speech class in 1st grade to lose my German accent. Thank God my parents did this. I still speak German today. And my parents learned the language of there new home . No one changed signs for them like they have for others since. Thanks for the memories. I’m German and my husband is American when our daughter got married to her husband, wich is American and I went to meet his parents, I was also greeted as a nazi. I didn’t know what hit me that moment. All I can say about that is , people are so narrow minded and don’t know that Americans come from all over the world unless you are Indian Native American . Brilliant… I remember it all.. we didn’t do the Schule, but oh everything else, just made me chuckle at the things I forgot that we actually do differently ?! Ohh but what about the sheer curtains on the windows, my mom always had German sheers up, she actually bought the fabric in Germany and would make them herself, and she could always tell a German’s house by their curtains. Yes, I ironed my dad’s hankies, that was my job when I was young, crazy for sure – I do not iron anymore 🙂 I do have that “Good Room in my house, and I even have a Shrank, I purchased several years ago. Now it fears like home. Wunderbar! The sheer curtains! Oh gosh, my mom loved her sheer curtains, she also made them herself with fabric sent over from Germany. She still had three, yes three different large hunks of such fabric, with the lower edge containing a fine rope of lead to help them hang properly, that were to become curtains someday. Unfortunately, her project list outlived her – she has passed and I’ve inherited the fabric, and since I will never make then into curtains, I have no idea what to do with it. Sell it? to whom? Ideas welcome! They are 4.8, 7.1 and 7.7 yards x 104″-112″ long. my mom still orders fabric from Germany for sheer curtains. I used to make her nuts by pulling on the rope (or string of little beads) on the bottom. Love and need to maintain the connection to my “Heimat”, the land of my birth. Today is my birthday and I baked eine Obsttorte (mit Sahne). Some memories become more precious with time … the “Heimweh” has never gone away. My mother was of German and Polish descent. everything in our home was super clean. she also ironed every thing even some underwear. as I grew up my mother wanted me to help with cleaning. My first assignment was the bathroom. I called this duty latrine cleaner but I accepted my duty and others when asked. My mother did not cook German or Polish food because. my father did not like it. However, when visiting my relatives I had plenty of both. Also when I went to Catholic school I was always referred to as the German girl. What do you mean German girl? I was born in America. Also my great grandfather came from Germany and eventually fought in the Civil War on the side of the north. Your article brought back lots of good memories about the “good old” days. My parents immigrated to Canada from West Berlin in 1957. They got married shortly before coming to Canada so they could both be assured of being settled in the same city after arriving by boat. My parents sent me to Germany alone for 6 weeks during my summer holidays when I was 11 years old. I remember crying while walking to the plane. After 6 weeks I phoned my parents to ask if I could stay longer. I was so spoiled and saw so much including visiting relatives in East Berlin, being introduced to my first kneipe and after my visit I came back to Canada almost fluent in German. I also was blessed in that my parents also owned a German bakery and delicatessen which we lived above. Nothing like fresh bread every morning and lots of other “different” treats that you can’t get at your local grocery store. Christmas time was the best though with all sorts of the best chocolate goodies. I could also eat a whole blackforest cake all by myself! We still celebrate on Christmas eve with my parents and our kids along with keeping up with the tradition of putting up a real tree with plenty of German decorations. Vielen Dank für den schönen Artikel und Grüße aus Ottawa, Canada. Oh!!! What a wonderful way to grow up! How lucky you were. I was sent to Germany at 11 too… tag around my neck. I loved every minute. Sülze! Haha, but otherwise ditto on all. Nothing beats a brötchen and a game of Mensch ärger dich nicht! Way too funny . I was reading this to my wife while she made dinner and everything that I read, we both said ” YUP ” to. Even things that we forgot about came back to mind. We live in Toronto, Ontario, Canada, and have two kids, sorry….young adults ! They didn’t go to German school, but just like I did, they too have been dancing in the Donauschwaben dance group since they were small. All the food was great and EXACTLY as you and your readers described it. Yes…..we may have been a bit different, but I wouldn’t change a single thing. We are all proud to be German and support our heritage as best as we can. We travel with the kids all over Canada and the USA when they perform at the different venues and shows. As the older generation passes on, it is up to us and our children and their children to keep our heratige and traditions going. I think you said it just right… we may have been a bit different, but I wouldn’t change a single thing. My kids are proud of their German heritage… and while some traditions may be losing out to American habits, it’s nice to see the important ones stay. Dear Karenanne: thank you so much for your wonderful article. My sister received it from a friend and we both read it and laughed out loud. How true but not the Nazi part. We came to Canada in 1953, to the prairies and I can not remember ever being called a Nazi. Canadians were wonderful people and never made fun of us but helped us to l earn English. We felt that we were treated better by Canadians then our own people in Germany. We were also refugees from East Prussia and they never let us forget it. 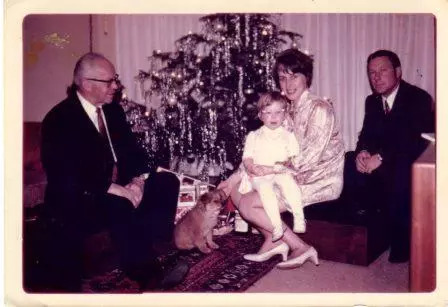 My Mom did not want to stay in West Germany as we never felt at home there so our whole family immigrated to Canada and even though the first year was very hard and of course we all had Heimweh at times but especially at Christmas, we soon settled in and never regretted coming to Canada. Yes, we kept the old traditions but also adopted the new ones. Our Mom is 98 now and still irons everything and likes her flowers by the windows. Also sets a nice table when we come home but doesn’t cook anymore. When we go over, we bring good Kuchen, rye bread and liver sausage and yes, if we can get metwurst, that’s a treat. How about potato pancakes? We love them. Does anybody remember them?? Kartoffelsalat und Würstchen, how about Rotkohl or Schmorkohl, (Red Cabbage). All our friends love that too. Re. Christmas Eve, in Germany all Lutherans celebrate Christmas Eve and Catholics Christmas morning. That’s how it always was. I think Martin Luther started that. My kids and grand-kids love it that way and would never change. The little ones put on a little presentation, like reading a little story, sing a few little songs, some in German and play piano, then pass out the presents and then comes the best part, going to the Dining Room table where all the special Christmas goodies wait for them, marzipan, gingerbread and Stollen just to mention a few. It is always a glories evening so why change it?. Thank you so much for your stories and all the comments. I loved reading them. Thank you so much! And thank you for sharing your experiences. My parents were both refugees from the east… Mama came from Schlesien, Papa from Brandenberg. Christmas Eve was so festive… singing, candles and plates of cookies. We still celebrate the same way. Doris, your Heiliger Abend is just like mine used to be. My parents came from East Prussia , fled.to Bavaria during the war, where I was born. I immigrated to the US in the 70‘s, but still hold on to my german traditions and I am proud to be German-American now. Liebe Grüße! I absolutely loved your article!! This was me too! Aber Ich bin eine Halbe-Halbe, Dad was an Army officer who was kicked out of the house by my Opa when asking for his daughter’s hand in marriage, then whisked my Mom away to elope to Reno, NV! And we spent almost every summer in Deutschland! Samstagschule, long flights, Milka und Kinderschokolade, Überraschungseier, Kaffeeklatsch, and wearing my Dirndl to picture day! Yes, I was a little Nazi too! Leberwurstbrot mit mayonnaise was the last straw!! You are so spot on with the time capsule, luckily we still go back as often as possible. It’s a different Germany now. My poor teenaged girls have also been inducted into this unique club and I love that they embrace everything Deutsch!! I have a yearning for going back when I’m here, I want to be there. And it’s so silly when I’m there I want to be here too! Definitely holding on to the positives and taking the best, but the threat of the Kochlöffel cannot be left out!! And I have an industrial iron and board, but I don’t do windows!! Wish we could all get together for German-American fest and exchange stories!! Vielen Herzlichen Dank for this funny and accurate article! I will be passing on to my fellow Germans!! Thanks for passing this along… I really want to hold the positive (and leave the Kochloeffel in the drawer, where it belongs!). My daughter is embracing her heritage (finally) and is planning to spend time studying abroad. All is not lost! I love all of these, SO VERY TRUE, thank you for compiling them. I still cannot sleep in a warm room! Oh too true… and the obsession has trickled down to me. I HATE drinking coffee out of paper cups through a plastic hole… and I can’t stand when I get the wrong sized fork. Now your blog has reached Australia, and we Exgermans relate to everything that has been said. We all have stories to tell, and we have children who have inherited some of our ways and coustoms. We Exgermans have formed a Kaffeeklatsch group to keep speaking German, and to help a friend who was the first baby born of Germans in internment during word war two in Australia. I play scrabble in German to keep the language going. For the older readers I recommend a book:Die vergessene Generation, by Sabine Bode. thank you… I will order this book. I love this!!! My mother was born and raised in Germany and my father is an American. He was in the army and was stationed in Germany where he met my mom. We moved here when I was 8 in 1990. All of these hit home for me except school on Saturday. I miss my oma and opa and the rest of my family. I went to visit last year and about a month ago they sent me a care package, yay! It’s the most beautiful place I have ever been and I can’t wait to go back. I wish I could find more German products, food or anything here in northern CA. Thanks for this article, it brings back many memories!?? Thank you?, I’m up by Redding which is about 1 1/2 hr-2hr north of sac. So much of this rings true for me, born in 1960 one year after my parents came to the U.S. (Detroit.) A few differences – dad was Ukrainian but happily adopted mom’s German culture, which was actually what is now termed “Donauschwaben” although no one ever used that term back then, they called themselves “Volksdeutsche.” So there were some Hungarian and Yugoslavian-influenced foods mixed into our lives. My Oma who never learned to speak English lived with us, and she and mom stayed tight with the other relatives that were in Michigan, Ohio and Kitchener Ontario. No need for German school with all that constant cultural immersion going on. No American-style vacations for us either (except the summer we drove to Disneyland in California in a Volkswagen, camping along the way) – vacations were always spent visiting German relatives. I learned to speak English somewhat from neighborhood kids and then fully in Kindergarten, luckily my teacher knew some German so it was a smooth transition. We always had a fabulous, super-neat garden – urban farming way before it was cool! I learned to sew and crochet and do needlepoint well before my teens. Mom didn’t dress like the other moms – she preferred to wear a “kittel” around the house, made most of her own clothes and never wore jeans. She stayed a thoroughly German woman all her life (just passed away in June at age 90), never really interested in fully assimilating with Americans, but had tons of friends of many different eastern European nationalities. I feel so fortunate to have had that upbringing and all those wonderful influences throughout my life. And very glad I took the time to go through all of mom’s photos with her and write down names, places, and years, and listen to her stories over and over again, while she was still able to remember and tell me (lots of them posted publicly on flickr – may I share the link?) p.s. I still have my Max und Moritz and Struwwelpeter books, and Disney Bilderbuch, and Schwartzer Peter playing cards. YES! Please! Share the link! Also, if you would like to share some of your mother’s stories… and your stories.. please do! Contact me by Email – I’m Karen GermanGirlinAmerica@gmail.com. I love having guest posts. I grew up in Germany and lived there for 40 years before I moved to California. Yes, in the beginning I missed decent bread – now I bake my own – and sell it to German friends, too. I still remember school on Saturdays, but that stopped during my high school years. Now I am teaching on Saturdays at a German school… I don’t miss the ironing, neither the window washing, but I still line dry my laundry and I appreciate good table manners. I’m still on time and am thankful for anybody who is as well. In Germany we never had a “gute Stube”. We used our living room – Wohnzimmer – every single day. And I certainly still use Nivea that I order in Europe. One thought about the big bag. My mom who was a refugee from the Oderbruch at the end of WWII had a big bag in her closet that had all the necessities she would need if she had to flee again. It is really sad when you think about it. She was a very young, widowed mother when she had to get on the Treck, and she had nightmares about it all her life. My mom has enough food in her house to feed an army of people at a moments notice. 2 Refrigerators and a deep freeze… but it’s just her and dad most of the time. When you grow up hungry, you want to insure that it never happens again. I totally understand about your mom. Mine was a refugee too.. but much younger. My father came to America from Germany with only one shot as to his name (we stil have that suitcase). I didn’t see any mention of Advent in the article. We celebrated Advent when I lived at home and now that I live on my own, that is one tradition that I will always continue to do. My mom even ironed my underwear and sox! All, so true. My kids used to call me Felix the cat since my purse contains everything needed in case of an emergency. One thing you didn’t include was the obsession with tea, esp. as a cure all. Sick? Let me make you some tea? Unhappy? Have a cup of tea Tired? Tea. Seriously, it was my Nana’s and Mutti’s cureall for EVERYTHING! Could be… I used Oma and Mama (from my dad?)…. my mother called her mother Mutti, and her Oma, Omi…. Well I am a german parent trying to teach my son the culture and language. Not knowing, I am at least guilty of 50% of the items you mention here (my wife is american, so many items are lost as I am not as forceful). He’s a very American kid but is starting to like some of the German traditions. Luckily the “Nazi” thing is no more today at least in our area, so that’s good. Just went to germany and had all the above and then some. Schwarzwaelderkirschtorte with Rum, yum. Spaetzle, Rouladen, Spargelcremesuppe (the white one, not the fake green)….Bread! Good Bread. Why is it so hard to get good bread in the US? to this day? Fertig ist der Hampelmann ! Ich kenne es etwas anders. Every night with the Nivea! I came to America in1957 when I was 4. Everything everyone has shared is true for me too. My grandkids grew up with Hoppa Hoppa Reiter. Their favorite meals include nockel suppe and Palatschinke. My Mother was from Yugoslavia, Donauschwabe and my father was from The Saargebied in Germany. My parents are no longer with us but my children and grandchildren still keep our culture alive. My mother’s favorite comment was about die Ortnung. Everything was either in die Ortnung or nett in die Ortnung! I always wondered who decided what was die Ortnung. My upbringing was also very strict. Thus die Ortnung ?. I still have the sheer German curtains on my Windows. My family loves especially good homemade bread. My son cooks German like a pro. Reading all of these posts sure was fun and explains what growing up German was all about. I always wondered if there is an Ordnung committee. Karenanne, it seams like you are mocking everything about your German upbringing ! And children nowadays could use German Ordnung and discipline ! This German upbringing did not hurt me but helped me all my life ! Im Gegenteil… in the opposite. I love my upbringing… I wouldn’t trade it for anything. I just use humor as a way to describe things. I’m sorry if you feel I was being mean. I enjoyed reading this immensely! Not mocking at all. We grew up with all this too, but no Saturday school and never called a Nazi or bullied. I do experience some generational guilt when reading books about the World wars and all the cruelty. I remember asking my parents how could they let that happen, and getting no answer, or what could we do. And of course, what could they do. But I still battle with some shame when we discuss war era books in bookclub. I hear you… my parents were infants during the war… yet I still have an uncomfortable feeling when war movies, or Holocaust films come on. I can’t watch. cakes’ and muffins on kid’s birthdays instead of Frankfurter Kranz or Hefekuchen or Kaesetorte. The picture of your dog is lovely, he look gorgeous, is it a Poodle Pointer? I had a dog that looked dvery much like that, she was a Poodle Pointer, Unfortunately, she is no longer with us; I still miss her every day, it broke my heart when she died; her name was “Asta”. My father’s side was 100% German, but only my great-grandparents were born in Germany. Nontheless — I grew up on Grimm’s and Andersen’s Fairytales (How about the poor little match girl? Or the girl who trod on the loaf?) and we ALWAYS celebrated Christmas on Christmas Eve. I missed out on passing on that tradition to my children —- Christmas is so much more special at night under the sparkling Xmas tree. It really is special with candle light! On Christmas Eve, when I was very young, my father would sometimes dress up as Santa Claus or Nicklaus in the prescribed red suit and black boots and ” visit ” me for a little while and bring me a few gifts. My dad ” ALWAYS ” seemed to miss him, and come home just a little bit later. My mother often did the same thing, dressing up as the Christmas angel, in a white robe and huge wings made of ??? . She also brought me a few gifts, and my mother ” JUST ” seemed to miss seeing her as well. Hey…..what did I know….. I was a kid. They ALWAYS made sure that we had a FANTASTIC Christmas together. Dads gone now, but ” thanks ” to both of them. Before the war: Didn’t have to go to German language school, it was our primary language at home. Went to the Turnverein as a kid where mama was a “Bear”. Still remember my gym instructor was a George Heaschen (sp?). Club had to change its name to Cleveland East Side Turners when the war came. As far as “Nazi” goes my two best buddies were an Italian and an Armenian so we stood off the bullies. In those days everyone in the neighborhood was your mother. If you screwed up you got a good whack from mother #2 and another good one when you got home. It was a great childhood. So true…but how to explain a Maikaefer to North Americans. It’s hard to find one in Germany today. We even changed the windows in our house to the ones on the picture ‘kipp und klapp’. north American windows are still a nightmare. East Indian kids called our kids Nazis in the ninetee’s, not much has changed, but there is now help from the teachers and principals. and…how can somebody live without Nivea and Penaten Cream….We just got the Stuwelpeter Book for our Enkel : )). Kritze,kratze. Sounds like we lived the same life! Thank you so much for sharing! now as an adult i only can say DANKE MAMMI !!! Exactly… different is not a bad thing! I was so sad to read that German children were called Nazi’s. I was a baby during the war. My American parents watched the u-boats from their apartment in Puerto Rico, but they were happy to visit me in Germany in 1979. I met my first German native in 1957. I took Piano lessons from Irma Bley every week for 4 years and visited her again after I went to college. She said Hitler had visited the Music Academy in Munich where she was a student to give a speech. Still nobody in my family would ever dream of calling her and her family Nazi’s. Irma was too shy to perform in public but she could make Mozart, Bach and Beethoven exciting, but most spectacular were the composition written by her classmates. All I knew from the movies is that we went to war with Germany but I always wondered why. The Germans in the movies were not like the Germans I knew. Its complicated. Irma also taught me how to make Sauerbraten. People always seem to feel better if they can label others..
My mother ironed our underwear too! Was I the only kid with a father that made sauerkraut? I mean actually ferment the cabbage? It used to drive my mother crazy because it would stink up the house LOL! but it tastes SOOOOO GOOOOD! What a wonderful journey! My Dad was German and my Mom was Canadian. We lived on the farm and during WWII, Dad had to go into town every week to report. I just enjoyed going to town with him. It was many years later before I understood why he had to go to town every week. We eventually moved to the city and befriended many of the Germans who came in the mid-50’s. My Mom had a wooden spoon and so did I! I carried mine in the car and my boys learned to sit when we drove. (That was before seat belts). I married a German and I make spaetzele and roast beef often for Sunday dinner. Our boys loved it and so did many of their friends. Rouladen is our Christmas dinner with red cabbage and spaetzele. You only get it if you come home for Christmas dinner. We open presents on Christmas Eve, but now with a few in-laws, Christmas Eve is often celebrated a couple of days earlier so the other families can also celebrate Christmas Eve. Thanks so much for the wonderful memories! I’ve learned to make kasekuchen, apfelkuchen, plain kuchen and good potato salad! Sounds like you are a wonderful cook!! YUM! What time should I come over? That all sound leka leka. not the small toast but a small two part bread. My husband had passed away years ago, and my girls are now working in Germany. Found your post and love it. To be a part of that German cutlture for a time, gave me a sense of fulfillment, that I have learned a lot, which I am now trying to pass on to some youngsters I come in contact with.. Cheers to your posts, brings back good memories! How wonderful that you are able to keep the traditions going! Bin in America seit 1961…….Meine zwei maedchen kannten auch deutsches fruehstueck fuer ihre freundinnen musste ich immer weisses brot machen….dann kammen die Enkeln und auch diese wurden so aufgezogen…. Later I had an canadian roommate, Ian, he allways said, germans ar so peticular and drive like crazy in this small streets in the city…. I really enjoyed your blog, and ’60s foto! I have 1 each echte Deutsch, and Volksdeutsch parent (German Language school, Kindergarten, Tanzgruppen, The German ‘Club’) Made me laugh alot, although Mom gave up some things (ironing everything) because she said she wanted to Americanize–Ha, it was too much work! I felt weird then, but now I Love that I had this experience! how wonderful, I loved everything I read, or at least most of it. but you can’t take the German out of the girl. the good things Germans have contributed to this country. I come from Mainz, Germany, and I still miss it very much. Especially the beautiful church bells on the weekends and around Christmas. I couldn’t stop reading down to the last comment. I am so glad my daughter send this to me. I’m glad you liked it! I love the church bells too…. Luckily, I live near a Basilica, and they play the bells during the day. Much less scary that way! I was born and raised in South Africa, yet despite being far away from the states, your account of our traditions is spot on. I attended private German schools in South Africa all my life. While all my ancestors originate from Germany, the closest relative born in Germany is my grandmother, who turned 101. The first ancestor to emigrate to South Africa was 7 generations ago. Crazy, but we kept all the traditions and the language going. Our generation is the first to marry outside of the German culture. Sadly, our children are therefore also no longer learning the German language. Your article was quite insightful to me. We take many of our approaches to life for granted, despite the massive differences compared to the mindset of friends from other cultural backgrounds. My parents had German friends who moved back and forth from South Africa… it’s amazing how the culture stays with you! Having grown up in Germany via the Canadian Military in Lahr, I lived in Germany during part of the 70s and 80s. What I miss most were the people who were friendly and made you feel like you were part of a family. Many Canadians living there lived in towns and villages with Germans and so spoke German and English. We always tried to assimilate into the culture as much as possible. I still miss Fasching in February, fests, the food…oh wow the food, Deutschebahn, SWF 3 Radio, ARD television,stores closing at noon on Saturdays, Imbiss,Deutsche Bundesliga, Europa Park and yes we even had German language classes taught to us by German teachers. Needless to say, we military brats also grew up with and brought back a lot of Germany to Canada. As for the things that you mentioned that were important to your family growing up, a friend of mine and I were going to jokingly publish a book listing a lot of German things we had also noticed. The book was going to be called “How Deutsch Of You!” LOL. I had a huge smile on my face as I was reading your post. My mother was born in Germany, my father was of completely German background, and my German grandmother lived with us when we were growing up. So much is very familiar! Opening presents Christmas Eve (Santa would come while we were at church), “frische Luft” — I open the door in the morning to let the cool air in while I drink my coffee, even if it’s in the 50’s outside! I don’t recall having been called a Nazi, but my mother surely was — having a name like Waltraud Berneburg during the war was a dead giveaway. My father wanted us to be assimilated, so — very sadly from my current perspective — he didn’t allow us to learn German in childhood. I had to wait for high school to learn German, but then I had a very good accent from having listened to my mother and grandmother talk to each other all those years. I’m hoping next spring to go on a genealogical trip to Germany — three weeks of visiting the places where my relatives lived. I’m so excited to see the places where they lived and breathed. I’ve been writing a blog about my family history for a few years. I’d love to have you visit! And thank you so much for the link on your blog! Hilarious post! We must have all had carbon copy childhoods. I suppose there were many of us, just not living close enough to realize how many. Who remembers the Max und Moritz or the Heinzelmenchen? How about Volkslieder mit Oma beim Spazieren? Great memories really. I think we all outlived the silly Nazi stuff. 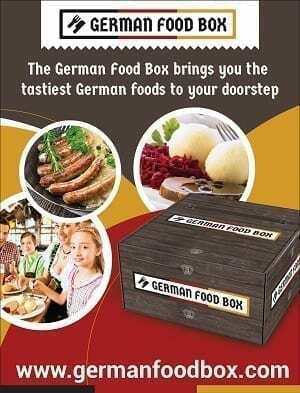 How about that well kept secret: German Cuisine? lecker! YES! German food is sooo good! way more than just sausage and potatoes! I feel like there was a giant secret club out there… thank goodness the internet is finally introducing us! It’s actually a nice and helpful little bit of data Klavier lernen Münster. We’re pleased for you to distributed this beneficial information and facts here. Remember to continue being you informed this way. Appreciate your giving. This post is great! My cousin sent it to me because our parents are German. It is exactly what I experienced growing up – the Saturday school, family far far away, Christmas Eve. Nice to know it wasn’t just us. As an adult, I’m grateful for the traditions that my parents shared with us. I felt like the weird kid many times, but it all worked out in the end. As an adult, I’m fluent in German and am thankful for that. I think our parents also instilled in me and my brother very good manners that I think shocks most Americans to this day. A few weeks ago my parents were visiting for a few days and they brought me a whole Teewurst. I was over the moon. haha! And now with technology, I can find online German stations that play Schlager. We had a lot of fun listening and I really had to laugh when “Theo, Wir Fahr’n Nach Lotsch” came on. Ugh, I know all the lyrics. Hahaha! Love how it sticks with you! I actually bought out the German Store today in anticipation of family coming for Christmas! Thank you… true… the grammar gets all of us. The ultimate experience: Schlachtag. This means carving up a freshly slaughtered sow in the basement to make Wurst. But please, the appetizers first, prepared and savoured during the slaughter party: scrambled brains and eggs (Hirn mit Ei) as a ‘Gabelfrühstück’, Grammeln/Grieben (fried pork rinds) for lunch. And not to forget the fabulous soup with all manner of inner organs floating in it. For literally months after the feast we fed on the Leberwurst, smoked Bratwurst and cured Schinken. This was, by the way, not Bavaria in the 1950s but Ontario, Canada in the 1970s. I recall being called a Nazi when I walked home from school. Being so young, I had no idea what that meant. Still have the Stuwwelpeter Stories Book (the man with the scissors who cuts off the thumb suckers thumbs!) Then there were the long distance flight back to Germany to visit grandparents, aunts, uncles, cousins, and friends. Mutti always baked from scratch and made her delicious German cakes. I still enjoy eggs came in Eierbecher ( special egg cups) for breakfast and jam in a special jar. Mutti ironed everything, even Handkerchiefs. Mutti (Mom) about having Gute Haut (good skin) and using German creams. Celebrated and opened presents Christmas Eve. We had Mettwurst, Teewurst, Deutschen Salami, Gelbwurst, Schinken on brown (or black) crusted rye bread. Having a hard time to finding Gelwurst, which is like Bologna but maybe milder. My mother-in-law would pick up Getwurst at the commissary for me since she could shop at the base. Now that she passed away, I am not able to get any. So many memories and a happy childhood in a German household. My mom was German, my pop was German/Jewish….what I remember the most were the scary stories.. This was a wonderful page for me since I was born, raised and educated in Deutschland. By the way, early in your German remembrances, you mis-spelled “Struwwelpeter.” You forgot the “R” in Struwwel. Either way, I enjoyed all the typical German habits and examples. All of them are true. I must also mention that I had to go to school on Saturdays, but that was back in the 1950s. I didn’t know that Saturdays are now free days. sometimes the fingers go faster than the brain… thanks! I live in Canada–born of 2 German parents who immigrated here in 1955! I can relate to every part of the email–and it made me laugh! These are treasured memories–maybe you will appreciate them more when your parents are no longer with you! Isn’t it fun the sweet rhymes we teach children…? OMG. This is me. Totally and utterly all of my childhood. German school was on Friday nights, the only perk was that I could catch the last 15 minutes of “Dallas”. I have a Struwelpeter shopping bag still. I was named a nazi when I didn’t know what one really was. I had a Monchichi (more than one) and I had Monchichi Bettwaesche. The windows were opened up in the winter, but my parents luckily always thought draughts were silly. A very wise person (Karen Suden) always said you can die of cold, but not of stink. Coffee and cake was treat. Loved it. Still do. The lotions and cremes have skipped this generation, but Mama still loves them. Unfortunately, no more long-distance Omas and Opas. And, I inherited Omi’s (Oma) Schrank. wow. Heino is great. And I too have a huge soft spot for Schlager. I have taught some of my German friends some songs, even. Bread is not real if not from Germany. And chocolate; can’t say for sure, but I sure do know my marzipan. Erstunken ist noch keiner. Erfroren schon! … I just had such good laugh …. I came here in the 60’s. I had to learn English fast in elementary school . I only remember beings teased once about being German . Most of the time kids thought it was pretty. Cool . Maybe that is how Southern California is though lol ! I get a stupid remark on a rare occasion now ( and I’m in my 50’s ! ) but I let them have its with both. Barrels blazing ! I LOVED this article. Just yesterday I was at my mom’s, and she asked me the exact question…”tuhst dich gut eincremen? ” I would not trade the German life my parents gave me for anything ! It was so nice to read that we kids who ended up growing up here all had the same lovely traditions : ) Thank you so so much for this article ! I feel understood! ! 🙂 Much of this was my experience, as my parents emigrated the year before I was born (1958). I didn’t go to Saturday Schule but I attended a German-speaking church until we moved when I was ten. My Denglish is pretty good although my Deutsch is rusty. Loved this post and am sharing it with my Geschwister. Thank you! Reading your post was interesting, because my kids (7, 5 and 2) are German through my wife (I am Canadian) but born in Canada. At home, we mostly speak German. What you describe sounds a lot like my wife’s Oma (born around 1930). It would be interesting to show this post to my kids when they will be in their twenties to see how the German immigrant experience changes over time. One difference is that I don’t think my daughter (the oldest of the three) has ever had to deal with the nazi label. In the list of the new kid of German immigrants, I would include Playmobil/Lego abundance, wooden toys and watching nature documentaries. Thanks for your post! YES! I still have all of my old Legos, and added more to my children’s collection. Now that they’ve outgrown lego and Playmo, I put them in the attic for the next generation. My parents came to Canada in the ’50s. I did all of those things. Never even heard of PB&J until university. They didn’t call the bread here toast bread, they called it Papbrot! Natuerlich, I passed it all on. My children went to Saturday morning German school, loved the Brothers Grimm and Struwwelpeter — adding in the more modern Janosch. They speak German fluently, have dual citizenship and, yes, were and are called Nazis from time to time just because they’re German. I am an American girl who’s dad was transferred to Wiesbaden in 1979 when I was 11. We lived there until 1984 when I was almost 17. We were civilians so we had the privilege of living “on the economy” in Erbeheim. I loved this article as we tried to assimilate with the German customs. To this day my favorite sandwich is beef with butter on the bread! I truly miss Christmas time there and gluhwein and all of the beautiful decorations and pretzel stands on the walkplatz. Also, Germany is where I discovered mayonnaise with my pommes frites and I can’t eat them any other way anymore! Also my favorite sweet gummies. And as far as chocolate is concerned, I cannot stand Hersheys. Toblerone and Ritter are two of my favorites and fortunately now are easily found in grocery stores. Thanks again for this great and heartwarming trip down memory lane. I loved Germany so much and miss it greatly. Looks like it’s time for me to plan a return! Go! It’s still so wonderful! Ah, memories. It all came back to me now! I was born in Austria and yes so many things are true I was raised that way . I married an American Military man in Germany and came to the USA wit5h him. We raised our doughter the German way and she remembers a lot of XMases . I still have a Austrian Christmas tree and bake Cookies and I like a Gus for Christmas ,When my husband died I became a Foster Mom and I took Childfren into my house from ) to 18 of age. I did that 17 years and all of that children learned my Austrian Way of doing things. The first day when the came to my house the first thing they said, You talk funny I told them they talk funny to me also. One time I had 2 sisters they were 9and 10 years old and theynever learned to read properly. I worked with them for 6 month and they learned so well. I was so proud of them. I was called to a meeting in school and they thanked me for all my work. We only had one problem the girls had picked up my German accent.But they learne4d so many other thing from me .They learned Hygiene ,Etiquette,andselfworth and of course german cooking. I love to cook and bake and we did it all together.It was always hard for me to see them go. I adopted 4 children and I am so proud of the way they turned out. I know that some of it will stay with them. They all was given all my affection which they needed so bad. How I hated Saturday German school in San Jose and the German show on Sunday mornings on KSFO. You forgot: yogurt long before it was popular, Alfa sprouts on the sandwich and lebkuchen and gluehwein at Christmas. Thanks for reminding me of my childhood. Later Americans started getting ears pierced and I had to have mine pierced all over again thanks to all the teasing. I am German-American German is my 2nd language. and I became fluent in the language after two years of Study at the U. of Munich. But I must admit, when it came to raising my children Bi-lingual I just didn’t have the Fleißigkeit that it took. My daughter, however, whose German was mainly high school German plus one year in Austria as an exchange student. Was determined to raise her children bi-lingual. Because Bi-lingual children are brighter in school and learn more. So I have two grandchildren who are growing up outside of Boston who now speak better German than I do! My dad and his step mom and sisters escaped from Poland (Germans living in Poland back then) when the Germans were coming in to attack Poland and his sister got a call at 7:00 in the morning at the mayor’s office where she worked from some German person that said to pass this info along to all the Germans in the area that we are coming in to attack Poland and all Germans should get out of Poland by 3:00 this afternoon! Via wagon train, they did with other neighbors and they lived in Germany for a few years until Dad got sponsored to come to Cleveland, OH by a great aunt who came over here in the 1920s, I believe, and he lived with them until he got a job and sponsored my mom’s family to come over, too, in 1951. (They had some horrible stories to tell about living there during the war!) Then he got married to mom in 1952, I was born in 1953 and knew everything you talked about, even the childrens’ songs! BUT, do you remember ‘flinzen’? Not sure if I spelled it right, but we had this EVERY Friday for dinner. Potato pancakes with apple sauce! As a German living in Germany I never thinking about the small things that are different but normal for me. Thanks a lot for the story. Am Samstag morgen musste ich als Junge den Buergersteig kehren und Unkraut zupfen.